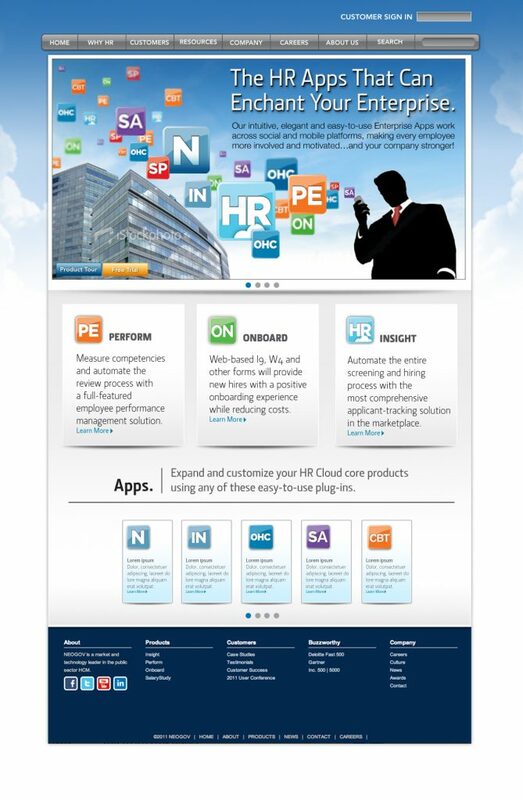 For SAAS HR software platform developer/provider HR Cloud, a spinoff of NEOGOV.com, the client needed a branding approach that made its sophisticated, app-based approach seem revolutionary and transformative for its target audience — every enterprise HR manager in America, basically. My solution? 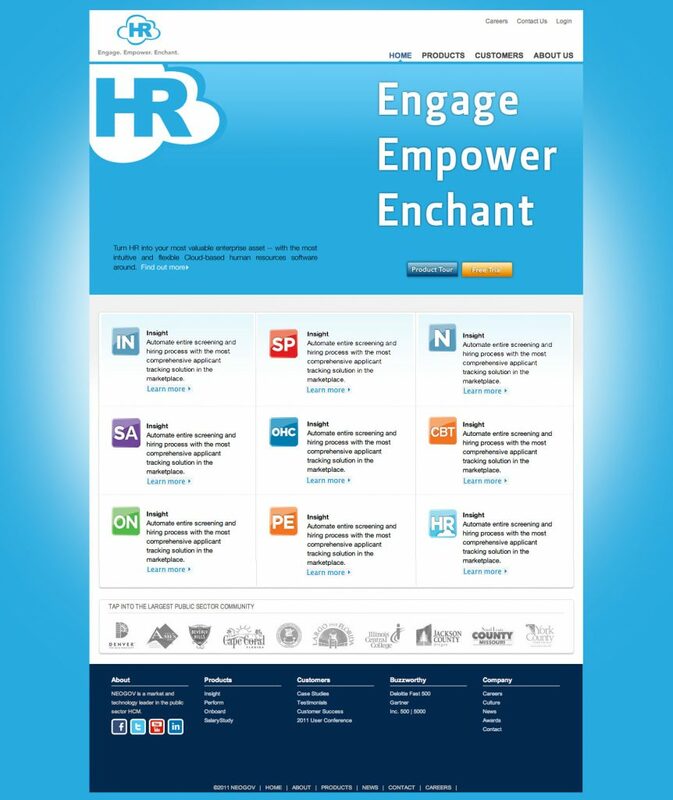 To position the brand and its products as offering the ability to help those clients “Engage, Empower, Enchant” workers, turning the workplace into a collaborative and fulfilling environment where HR Cloud’s social-based tools would drive greater loyalty and evangelism from the workforce. The platform and its associated apps would be presented in clear, non-technical terms, always stressing the stability and plug-and-play ease of implementation. The target audience for HR software, in this new, Cloud-based era, isn’t interested in the grubby technical details, except as to how they deliver clear-cut benefits. 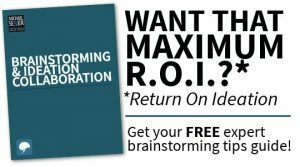 They’re after idiot-proof tools that help them stay in close contact with employees…and if those tools make each them a hero within their organizations, that’s a big bonus.